Claudia Rankine described the poems in Alsadir’s first book as 'lawless,' ‘provocative, and 'heartbreaking' as they 'converse from the inside out… come alive in the back and forth of a mind attempting to understand what it means to be in relation to.’ Fourth Person Singular continues to blow open the relationship between self and world in a working through of lyric shame, bending poetic form through fragment, lyric essay, aphorisms mined from the unconscious, and pop-up associations, to explore the complexities, congruities, disturbances - as well as the beauty - involved in self-representation in language. As unexpected as it is bold, Alsadir's ambitious tour de force demands we pay new attention to the current conversation about the nature of lyric – and human relationships – in the 21st century. 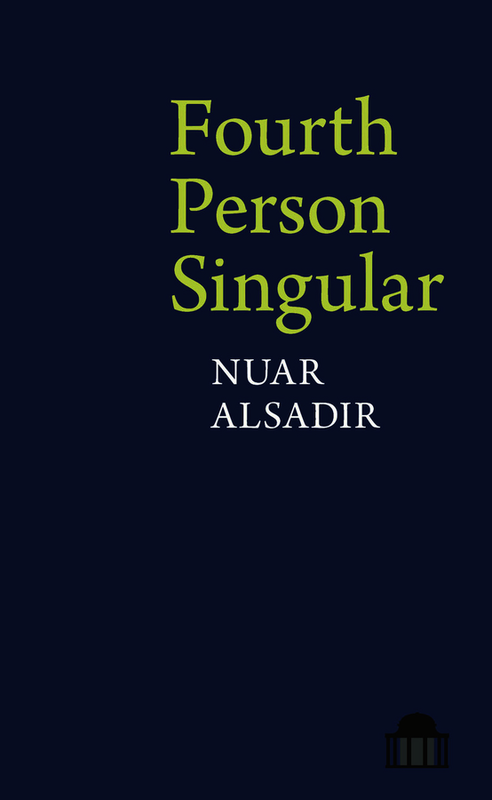 Nuar Alsadir is a poet, writer and psychoanalyst. Her poems and essays have appeared in numerous publications, including 'Granta', 'The New York Times Magazine', 'Slate', 'Grand Street', the 'Kenyon Review', 'tender', 'Poetry London' and 'Poetry Review'; and a collection of her poems, 'More Shadow Than Bird', was published by Salt in 2012. She is on the faculty at New York University, and works as a psychotherapist and psychoanalyst in private practice in New York.